In most crimes, it’s necessary for one to actually commit the act before he or she can be convicted. That’s not always true with conspiracy to commit drug crimes. 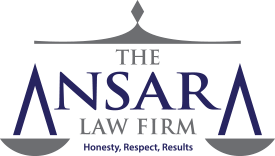 At The Ansara Law Firm, our Fort Lauderdale criminal defense lawyers know that conspiracy charges are a bit different than attempt charges in that the latter is charged singularly, while conspiracy charges can be filed simultaneously with charges alleging the crime itself. So for example, one can’t be charged with both attempted robbery and robbery, but may be charged with conspiracy to sell cocaine and actual sale of cocaine. Prosecutors often use conspiracy charges in drug cases to compel defendants to admit guilt and enter potentially unfavorable plea bargains. A criminal conspiracy is when more than one person comes together in agreement to commit a certain crime. The charge is used to penalize multiple individuals plotting or planning on engaging in illegal acts. The only way a defendant can be charged with conspiracy to commit a drug crime is if another person agreed to commit the crime with you, or visa versa. F.S. 777.04 spells out the exact criteria. Generally, punishment for a conspiracy crime is one degree below what the actual crime would be. So for example, if you are charged with conspiracy to sell more than 25 pounds of cannabis, you would face a second-degree felony charge, which is just beneath the first-degree felony charge one would face for the actual trafficking charge. Worth pointing out is many other states require prosecutors to prove defendant committed some act in furtherance of the conspiracy. Florida is not one of those states. Here, the state need only show there was an agreement. A recent case from Florida’s 5th District Court of Appeals helped to define was a drug conspiracy charge is not. The case was Davis v. State, and the ruling was issued in July 2012. Defendant was charged with trafficking in cocaine, as well as conspiracy to traffic in cocaine. Evidence showed defendant agreed via telephone to sell two kilos of cocaine to another individual on two separate days. Defendant completed one of those sales, but not the other. State charged defendant with trafficking, based on the completed sale, and with conspiracy to traffic, based on the sale he did not complete. He was convicted on both, and appealed the conspiracy conviction. The 5th DCA reversed, finding it was not enough in a conspiracy case that defendant agrees to buy or sell the drug. A charge of conspiracy, instead, requires defendant and co-conspirator to agree to the same kind of transaction. So either both agree to buy or both agree to sell. The 4th DCA issued a similar ruling in 2009 in the case of Schlicher v. State. However, it’s worth noting there was an incompatible ruling handed down by Fla. 1st DCA in Pallin v. State in 2007. The Florida Supreme Court ruled in 2013 the individual cases were too dissimilar to raise a decisional conflict necessary for the justices’ review. Other courts have weighed in on varying elements of the crime. For example, the Fla. 3rd DCA in 1980 held in Ashenoff v. State that the act of “aiding and abetting” is not sufficient enough to prove “conspiracy,” as it would defy the term’s meaningful definition. This case, along with several others subsequent, also make clear that if there is no prior agreement, a defendant simply knowing about a crime or of another person’s participation in it isn’t enough to support a conviction for conspiracy. Similarly, if a defendant’s connection to a criminal operation was minimal or wasn’t part of some consensual agreement, the state hasn’t shown conspiracy. (Rodriguez v. State, Fla. 2nd DCA 1994). Conspiracy can be effectively defendant often, mostly because the underlying charge is so technical. There are many elements that have to be met in order for prosecutors to prove this charge. That’s why before agreeing to a plea deal, defendants should always first consult a Florida defense lawyer. Dispute regarding whether underlying offense was in fact illegal. These are just some possible strategies. The path taken for each case will be highly fact-specific.